Media personality, Tolu Oniru-Demuren, widely known as Toolz, has carved a niche for herself in the broadcast industry, while also serving as an inspiration for women all over world – especially curvy women. With confidence and style that flow easily, Toolz has consistently shared personal stories about her tough experiences before attaining her present height, a journey that has spurred her to educate and push others to find confidence and pride in themselves. 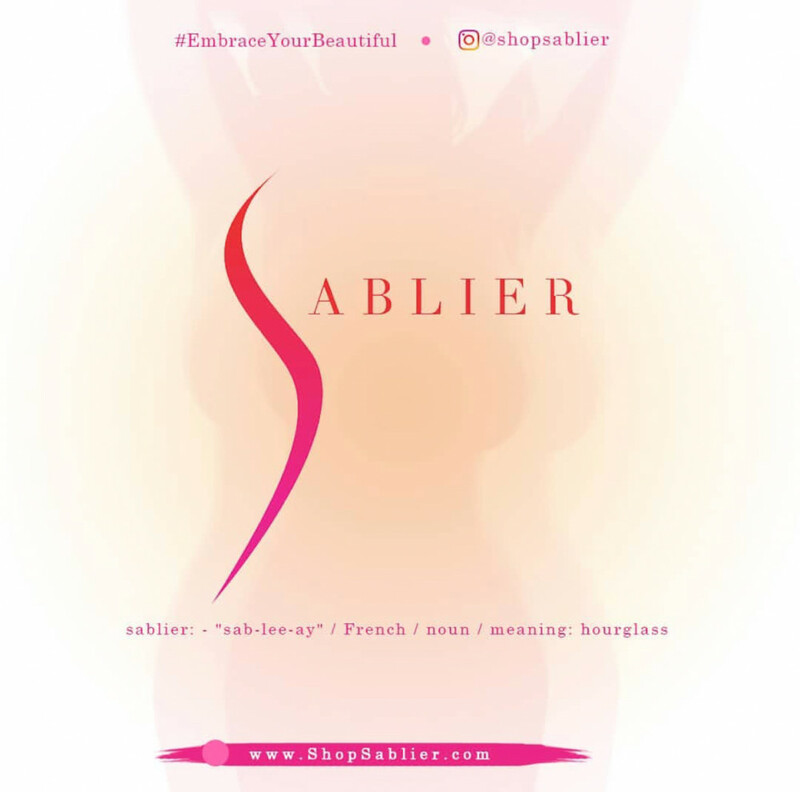 Based on her personal experience with body image and finding self-esteem, she has taken the bold step to launch an inspirational brand for plus-size women trying to make a statement, called “Sablier” which aims to define, represent, and capture every curvy woman’s beauty in and out. Sablier is a brand that represents confidence, female empowerment and self-expression, especially among plus-size women. It is set to drive a message that promotes inclusivity, and change the stereotypical perception of plus-size women. The journey to accepting my body hasn’t really been a smooth one. Growing up, I wasn’t particularly confident. As a plus-size and curvy girl, you tend to feel out of place – my body type wasn’t the hot thing back then. I just didn’t fit in. I became very self-conscious – I thought my hips were too wide…my bum was too big, and I was on the short side. As a teenager, you are dealing with a lot, especially when it comes to self-identity and accepting yourself. And you often get confused about what beautiful is. My self-consciousness got so bad at one point that I had to cover up all the time. In the middle of summer, I would wear a light coat to cover up my hips, and people thought I was weird. Clothes shopping was a bit of nightmare, not to talk of shopping for lingerie. Most of the lingerie in plus sizes were quite unattractive; boring styles and colours with super thick straps. Sadly, inclusivity wasn’t such a big thing when I was growing up, you were basically stuck with what was available. Later in life, I began to notice and research curvy/plus size models like Tabria Majors, Candice Huffine, Anita Marshall and Ashley Graham – her confidence is incredible! In an industry that is notoriously discriminating about anyone above a size 8, seeing this beautiful and curvy ladies flourish was magical. I was extremely inspired to say the least. Being in the public eye also had a big impact on my ‘acceptance journey’. I have been bashed and shamed about my body on so many occasions, I can’t even count. The first few times it happened, I was very hurt, because there was always so much venom behind the attacks, and I would be at home in tears thinking what did I do to anyone to warrant this? Unfortunately, this comes with being in the public eye, and I soon managed to get thick skin. On the positive side, as I got more popular I began getting messages from women who admired me for being one of a few plus size women in the public eye. I would get messages from young women who had contemplated suicide because they looked different, and they were being bullied for that. They would write and say how seeing pictures of me boosted their confidence – making them accept themselves and their bodies. These comments made me realize that my presence and visibility in the industry was having a positive impact on at least a few people. My experience strengthened me and gave me a voice – one which I have decided to use in empowering and boosting the confidence of plus-size women like me – those who are currently in a physical and psychological battle to accept their own bodies. I am Tolu Oniru-Demuren. You probably call me ‘Toolz’. Welcome to this journey with me.